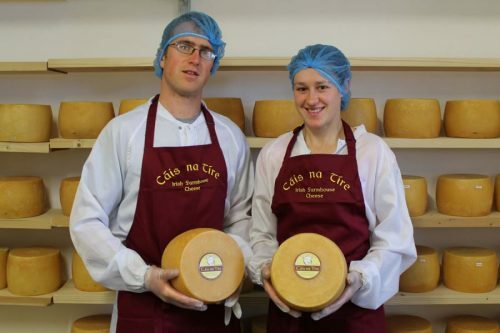 An interview with Barry Cahalan; farmer and owner of the fabulous Cais Na Tire cheese! Find out what Barry loves on the food scene, his ethos for his business and his recommendations on the best places to eat and shop for food! A brief synopsis of your business and career? In 2013, my wife Lorraine, and I started milking 60 Friesland ewes. We use the milk to produce Cáis na Tíre sheep cheese. 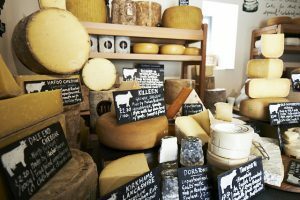 The cheese is currently produced from our milk by Marion Roeleveld of Killeen Farmhouse Cheese fame, a is a multi award winning cheese maker based just 15 miles away. She helped us set up, and enables us to use her cheese making equipment and expertise. We are now milking nearly 200 ewes and hope to make the cheese ourselves in the future. Tell me more about the farm? The farm has been in the Cahalan family for generations. There was always livestock on the farm, but never milking sheep! In 2012 we purchased 60 Friesland lambs; in 2013 they had lambs… and the milking began!With such a small flock, the milk quantity was very small (approx 1 litre/ewe/day) and friends joked that we should have just bought one cow! Now, though, we are milking 200 ewes and hope to increase the flock size even more next year. Do you farm anything else? Yes, we have a 140-acre farm where we grow barley and keep 60 Friesian weanling cattle which we sell as stores. The three enterprises work well together. We don’t force the ewes to graze the paddocks too tightly as this will increase the incidence of fluke and worms, which milking ewes cannot be treated for. Instead we use the cattle to clean off the paddocks and they can also be used when the grass gets too strong for the ewes. The barley is used as part of a rotation with the grassland and also provides straw for the winter bedding. Why did you decide to start to us your milk to make cheese? We have spent some time working with dairy cows and dairy goats. We liked both but as we have always had sheep on the farm and enjoy working with them we decided to explore it more. We visited a number of farms and were very impressed with them. As sheep’s milk has nearly twice the solids as cow or goat’s milk, it is ideal for cheese making. It takes approximately seven litres of sheep’s milk to make one kilogram of cheese versus 11 litres of cows/goats milk. We use the majority of the milk to produce our cheese: Cais Na Tire. What is your philosophy for your food/business? To keep our ewes happy and to continue always to produce high quality milk which in turn will give us the very tasty mature sheep cheese that is Cais Na Tire! The milking starts at 7.30 am. The ewes are outdoors, but getting them in is no hassle as they run in for the meal! It takes two people approximately two hours to complete the milking. The milk is transported to Marion our cheese-maker three days a week. Cheese is collected and brought back to our own facilities where it is stored. All the cheese is turned and wiped every week and there are always orders to prepare. The different groups of animals are checked every day with the younger stock getting meal. There is always fencing to be done or paddocks to be topped before the evening milking at 5.30pm. What’s the best part of your job? And do you have a favourite memory from work? The most satisfying part of the job is spending time with the ewes. We have a number of ewes who love a scratch and its nice telling them where their cheese is ending up. My favourite memory is doing a cheese tasting at a function and a stranger telling me she already had Cais Na Tire for her tea before she left for the function. It was nice as a small business to hear that people are appreciating our cheese. When you are at home what is your staple dish for the family? Pasta-based dishes like Chicken and Pasta Bake or Pasta Carbonara (with cheese on top). What is your favourite place to go eat (if you’re not eating at yours!)? There are two restaurants in Terrygass, Co. Tipperary which do really nice local food – Paddy’s Bar and The Derg Inn. Do you have any other hidden foodie gems you think are worth people knowing about – shops, producers or otherwise? Sheridan’s cheesemongers are particularly passionate about good quality food and the local ingredients that are used in them. 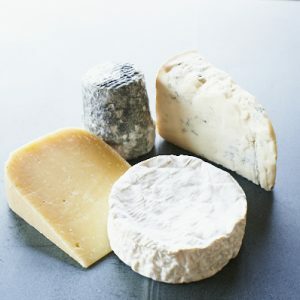 Do you have a favourite cheese at the moment? If so, why is it your favourite? If you had to choose a drink to go with cheese what would it be? and why? Cáis na Tíre is lovely with a steely white such as a Chablis. Where do you look for inspiration in your business? 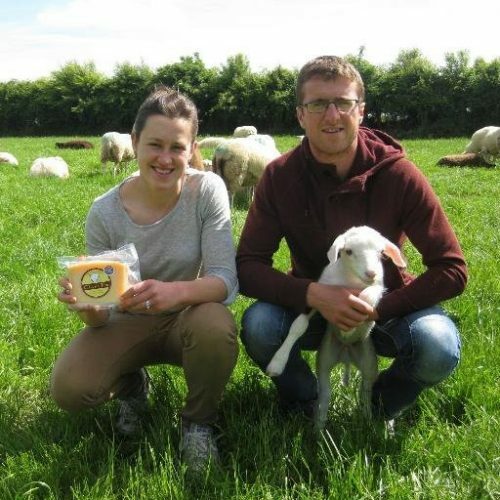 From our cheese-maker Marion and her husband Haske, who started with a small herd of goats and now have a very successful business and most importantly enjoy what they do. What is the best success you’ve had with your product? Silver for Cais Na Tire two years in a row in the British Cheese awards. To keep milking and producing a high quality cheese and to continue to love what we do. You can buy Cais Na Tire and also follow Barry and his business on Facebook and Twitter. Making goats’ cheese the farmhouse French way! The story of Yves, a rustic French goat herder who makes goats’ cheese from his small herd on the side of a hill in France.